Whether you’re eager to follow college sports, support your neighbors at the farmers’ market, soak up arts and culture, or carve your own path through well-traveled forests, you can do it all in Chapel Hill. 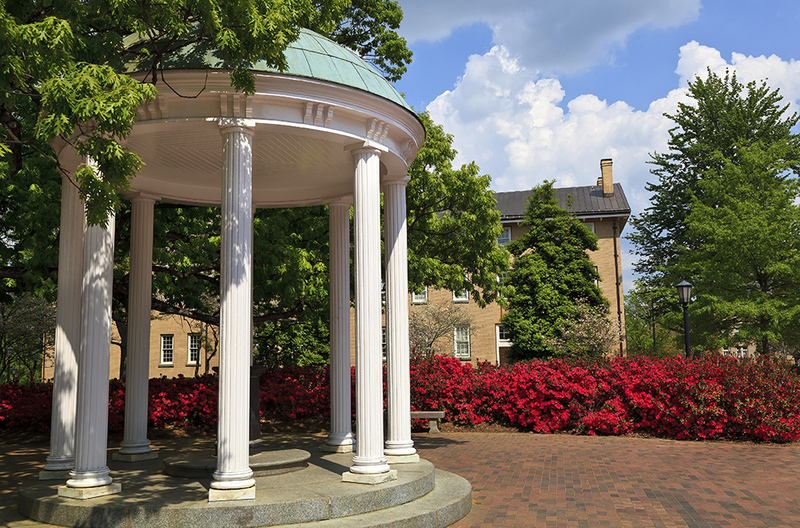 While the University of North Carolina (UNC for short) is a prominent part of the local lifestyle, residents can also take advantage of local destinations like the Carolina North Forest, University Place mall, Cedar Falls Park, and Kidzu Children’s Museum. Aside from its abundant amenities, Chapel Hill is known for its small-town vibe — even though 60,000 call this community their home. Residents are deeply rooted in their community, and it shows. Thinking about buying a home in Chapel Hill? You have plenty of real estate options, from townhouses and ranch-style homes to luxury residences in Chapel Hill’s golfing communities. And because of Chapel Hill’s appeal as a great place to retire, you’ll also find plenty of homes for sale in 55+ communities. From new construction developments to 55+ communities to golf course neighborhoods, there’s a community (and a home!) for every lifestyle in Chapel Hill. Among the many job opportunities in the Chapel Hill area are the University of North Carolina, Chapel Hill-Carrboro City Schools, and companies at Research Triangle Park. Because of Chapel Hill’s ideal location residents have access to world-class healthcare through local providers like Duke Health, UNC Health Care, and WakeMed.